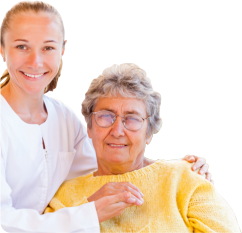 Ameristar Healthcare Services, LLC is a dedicated home health agency. We recruit the most qualified and experienced home health assistance professionals with extra ordinary skills. So you can rest assured they’ll know how to respond to situations unique to your needs. Ameristar Healthcare Services, LLC RN staff will conduct periodic quality assurance visits to your home. We focus on you. Having the right staff to meet to your health needs is essential. We provide healthcare personnel for private homes, independent retirement communities, and nursing & rehabilitation facilities. The ability to work efficiently and effectively in both everyday and emergency situations is vital which is why all of our representatives must pass quality assessment to ensure that each member maintains a strong skill level and understanding of today’s health care practices, laws and standards.